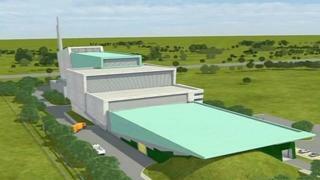 Gloucestershire County Council is fighting a legal ruling which would force it to reveal key details about contract details for a £500m incinerator. It is the latest twist in a long-running battle over the project at Javelin Park. Campaigners want to know how much will be paid for the waste the incinerator will burn and its potential profits from electricity generated. They claim it is not a viable business. The information commissioner ruled last month that the authority should release the information. But the council says releasing the facts will weaken its hand in contract negotiations. A council spokesman said: "The sharing of contract details will significantly prejudice the commercial interests of the council and local taxpayers, and Urbaser Balfour Beatty (UBBA) contracts are currently being negotiated. "We cannot put information into the public domain that would weaken our hand." UBBA is the firm appointed by the council to build the incinerator. The legal challenge has been criticised by some as the process itself is costly. Green county councillor Rachel Smith said: "We're looking at hundreds of thousands of pounds that the county council will pay for this appeal. "And this is in the context of the closure of children's centres and lots of struggling public services. We need to think carefully of spending this much money." Work on the project began in 2016 and the incinerator is due to begin operating in 2019. When the plans were first proposed the council said the incinerator would save local taxpayers £100m over 25 years and power 25,000 homes.